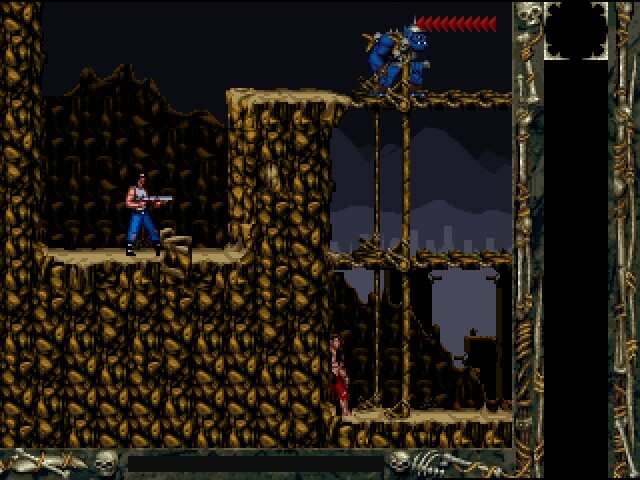 More enjoyable than just your average 1990s shooter, Blackthorne will keep you coming back for more, but expect lots of practice for your fingers from shooting a myriad of enemies who intend to see you dead. However, it's not only by shooting you that enemies can kill you. They knock you off ledges or throw glowing bomb-spheres. Avoid attacks by twisting away from them and changing your body, which becomes darker and shadowed for a nice touch. Along the way, you'll see your people (some as skeletons) in chains, hanging from the walls, or imprisoned behind bars. Strangely enough, all the prisoners are over-muscled male bodybuilders. Don't the Androthi have any females? A little variation would have been nice. 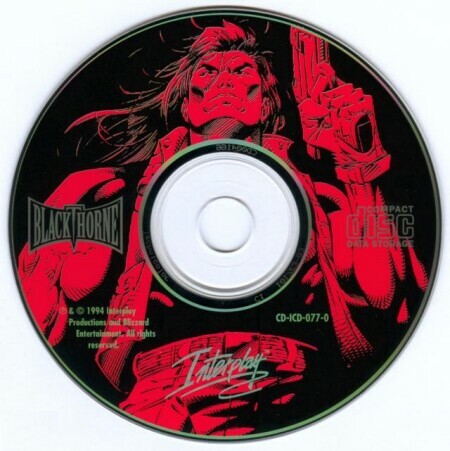 Besides, if the invaders killed them all, Blackthorne's society is doomed anyway. Most creatures are green aliens, but different colored ones mean more than one shot is required to kill them. When they die, they usually leave behind some sort of goodie, either bombs or other nice things. Freed prisoners can also give you items such as healing potions, but don't rely on them. 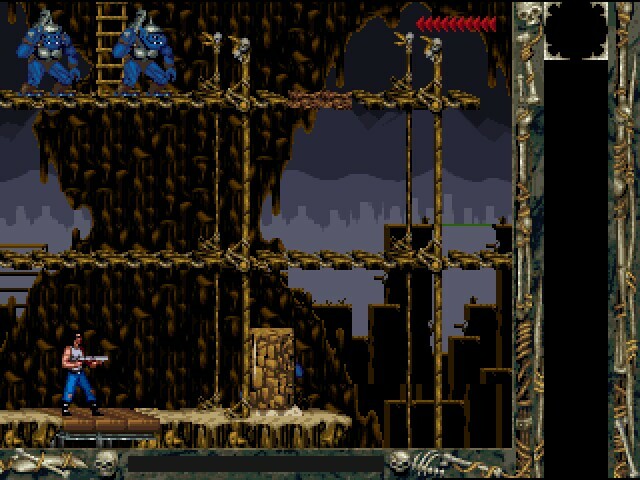 The graphics are very good -- colorful, offering a nice background to the action without being glaring. And the action is never monotonous, because you will have enough to do just staying alive. One shot won't take you out (it takes about three to do that), but your enemies can blast you out of the scene and back one scene. So, keep an eye on your life bar. When it gets low, be extra careful.